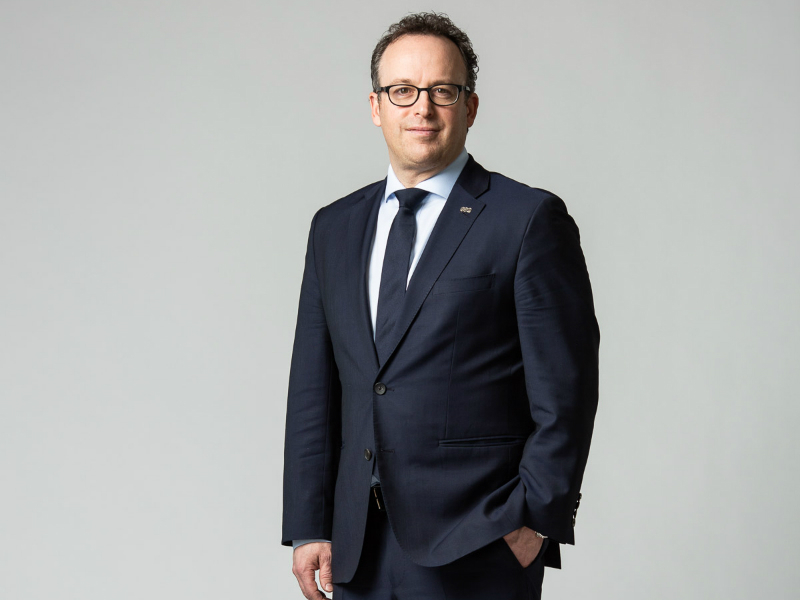 Jean-François Chalifoux, chief executive officer of Quebec City-based SSQ Insurance, has been named 2018 Financial Personality of the Year in Finance et Investissement’s Top 25 annual ranking of Quebec’s financial services sector. FI, Investment Executive’s French-language sister publication, bestowed the award on Chalifoux at an industry gala held Tuesday evening at Le Windsor in Montreal. National financial services institutions: Louis Vachon, president and chief executive officer, National Bank. Full-service brokerages: Paul Balthazard, vice-president and chief executive, Québec, at RBC Dominion Securities. View the complete list of Top 25 finalists and learn more about each of them (in French only). A jury composed of seven members of Quebec’s financial sector selected the Top 25 finalists: Richard Fortier, corporate director and chair of the jury; Geneviève Blouin, president and founder of Altervest, and chair of the Emerging Managers’ Board; Vincent Hogue, corporate director; Richard Gagnon, corporate director and advisor, president and chief executive officer of Humania Assurance from 2003 to 2017; Richard Joly, president of Leaders & Cie; and Guillaume Poulin-Goyer, content manager, FI. In addition to the Top 25, Conseiller also recognized the outstanding work and dedication of three financial advisors in Quebec. Martin Bray, portfolio manager at Desjardins Securities, is the winner in the top advisor category. Christiane VanBolhuis, financial security advisor and mutual fund dealer representative at Sun Life Financial, was designated as the 2018 Top Advisor under 40. Finally, Gérald Perron, portfolio manager at BMO Nesbitt Burns, received the most committed advisor award, which celebrates the volunteer work of a professional in his community. A jury of influential members of the financial industry selected the winners of Les conseillers à l’honneur! 2019 competition: Jocelyne Houle-LeSarge, CEO and secretary of the Institut québécois de planification financière (IQPF) and chair of the jury; Antoine Chaume, founding member of the Regroupement des jeunes courtiers du Québec, Montréal – south shore division, and financial planner at Lafond; Michèle Hélie, director, Québec affairs and politics and markets regulation at the Canadian Life and Health Insurance Association; Daniel Guillemette, founding member of Asteris and president of Diversico; Mario Grégoire, CEO of the Council of Professionals in Financial Services and president of Question de finance; Flavio Vani, president of the Association Professionnelle des Conseillers en Services Financiers and president of Assurance et Produits Financiers Vani; and Christine Bouthillier, senior content editor at Conseiller.